Shopko: Black Friday Doorbusters Available! Get Black Friday Prices Now! 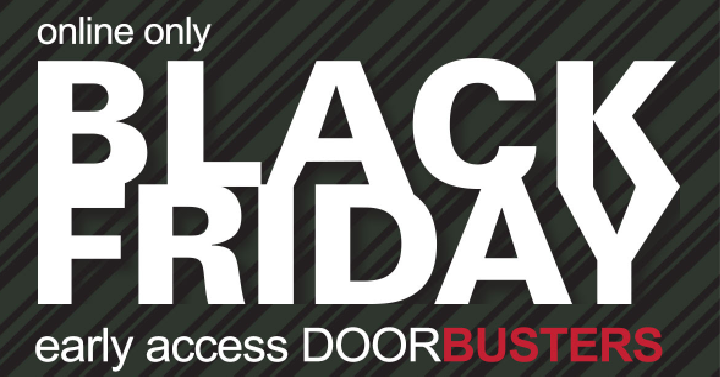 Today only and while supplies last, Shopko has early access to Black Friday Doorbuster deals! That means you can get Black Friday prices right now. Head here and you can see all of the deals available today. There are no rainchecks, so if you see an item you want, then grab it! Plus, choose in-store pickup to save on shipping. Or, shipping is FREE when you spend $99 or more with coupon code SHIP99 at checkout.